I’VE BEEN using the Shark Race R Pro for a couple of months now, clocking about 1000 miles or so in the helmet. I’ve mainly been riding a Kawasaki H2 SX but have also taken part in a chilly launch for Honda’s CB650R and CBR650R in Almeria. As somebody who isn’t really a fan of replica lids, I surprised myself when I opted for the Zarco replica of the Race R Pro over one of the traditional plain or graphic examples. The thing is, you have to look very closely to notice that it’s a replica. Other than the small(ish) number ‘5’ decals on the flanks and the Zarco logo on the back of the lid, it just looks like a nicely designed lid with bold graphics and neat design touches. I suppose it also helps that the design was only used by the French rider for his home round of the MotoGP championship at Le Mans last season, as opposed to using it for the whole campaign.  I’ve gone for the medium size option and find the Race R Pro to be extremely snug, especially so when it was new. Overall though, it’s a very comfortable lid to wear for six hours or more without any problems. 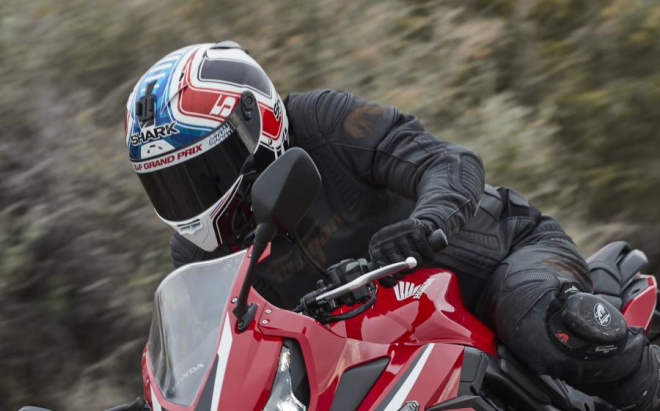 The removable cheek pads do a great job of keeping my mush in place, and even does the squished-cheeks thing that a MotoGP rider’s lid does – that’s gotta be worth two seconds a lap right? The interior shape of the lid is a good but close fit, with no tight spots and plenty of padding on the forehead area. The whole lining is removable, making cleaning a doddle and is made of a soft material that’s pleasant feeling against your skin. The lining dries out noticeably quickly and after two months of use still smells as fresh as a new lid. As a road/race lid, that’s biased towards the race side of things, I thought the Shark would be much noisier than it is. The vents and visor don’t whistle at all and there is almost none of the low-frequency rumble you get from air turbulence at motorway speeds. There is a cleverly designed chin skirt that can be increased in size to cover more of your chin and throat. The bigger you make it, the more it reduces the rumbling noise you get at speed. I’d still wear ear-plugs on anything more than a 10-mile blast but on the noise front, or lack of, it’s a thumbs up from me. The visor mech on the Race R Pro is a smooth-working, friction type affair that works well and feels quality. My only gripe is that the thumb tab used to open the visor is tiny and almost impossible to use in winter gloves. The visor removal system is probably the simplest I’ve used; flick the two levers forwards (see below), half open the visor and pull. It makes quick visor changes a doddle compared to the competition, handy if the weather takes a turn for the worst and you need to make a change at the roadside. With no Pinlock included, I initially worried that fogging would be a problem but after riding through some wintery showers I’m pleased to report that the anti-fog coating on the inside of the visor is extremely efficient. I’m not saying it’ll stay that way, day to day use and exposure to the air tends to degrade the chemicals and decreases their effectiveness overtime. I’ve opted for a dark visor to go with the clear one and find the optical performance of both to be as good as any other top of the range lid I’ve used. It’s worth noting that the dark visor – as pictured – is very dark. 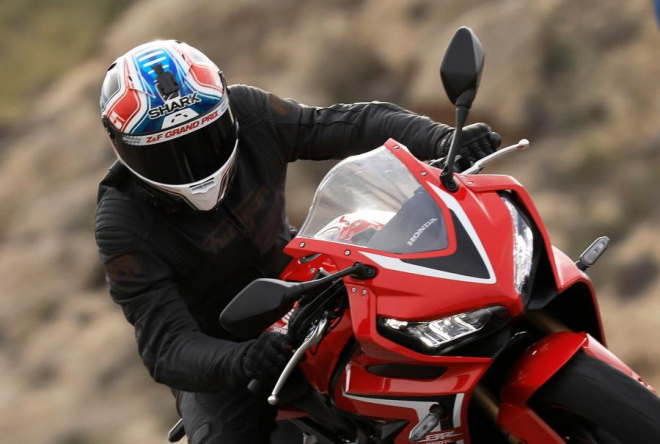 To the point that on the press launch for Honda’s CB650R and CBR650R, going from bright sunlight to the relative darkness of a tree-lined road induced a moment of (literally)blind panic as my eyes readjusted. On the day I collected a Kawasaki H2 SX from High Wycombe, I was caught in what can only be described as a winter shower of biblical proportions. My leathers, boots and gloves were all soaked after 10-minutes of riding back up the M40. The Shark though did an excellent job of keeping my bonce warm and dry. The vents let in almost no water, while the extendable chin skirt (fully extended) helped to keep my face dry and warm. The seal at the top of the visor also worked very well, allowing no moisture into the interior of the lid. In a nod to the MotoGP style lids, worn by Zarco, Lorenzo and Lowes amongst others, The Race R Pro includes a rear mounted winglet that’s designed to increase the outer shell’s aerodynamic profile at high speed. If I’m being honest, I doubt my slog up and down the M1 to work is high speed enough to coax the spoiler into actually doing anything, although I am taking the H2 SX to Bruntingthorpe next week – stay tuned! The Race R Pro has the tried and tested double-D ring fastening method, with the addition of a large plastic tab with a popper to retain the excess strap and prevent it flapping around. The plastic tab makes it easy to find the popper although it makes the act of passing it through the rings a bit more of a faff – especially when wearing winter gloves. 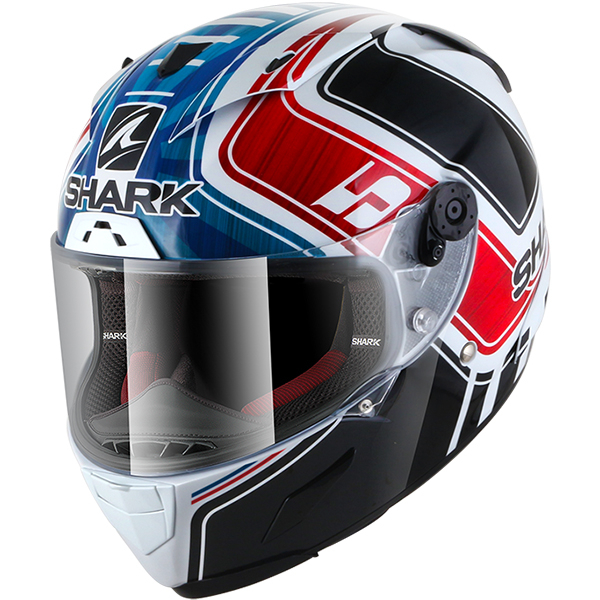 I’ve been extremely happy with the Shark Race R Pro, for a lid that leans heavily to the ‘track’ side of sporty motorcycle riding it’s comfortable, quiet and works well in bad weather. It also has the aggressive design that works as well on nakeds and tourers as it does on the bum-in-air superbikes it’s meant for. I also like that the perfectly applied graphics of the Zarco French GP rep are understated and don’t automatically make you think it’s a homage to a particular rider. If you want a sports-oriented helmet but don’t want to give up the usability and comfort of a touring product, the Shark Race R Pro is a lid you should definitely go and check out.